1. Flexibility: Does the cart offer a bay size that will meet your current and future mobile device needs? At the moment, you are trying to find a solution for your current technology needs. As you know, technology changes fast, but a mobile computer cart can work for you through this deployment of technology and many more. 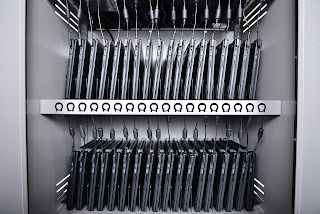 Make sure the bay size of the cart you are looking at is large enough that it could hold different sized devices along with any type of protective case it may have. You never do know what new technology will be available to advance your students' learning. 2. Convenience: Does the cart allow for easy management of your mobile devices' wires and cables? Does it have numbered slots for effective organization of those devices? will be using the devices. 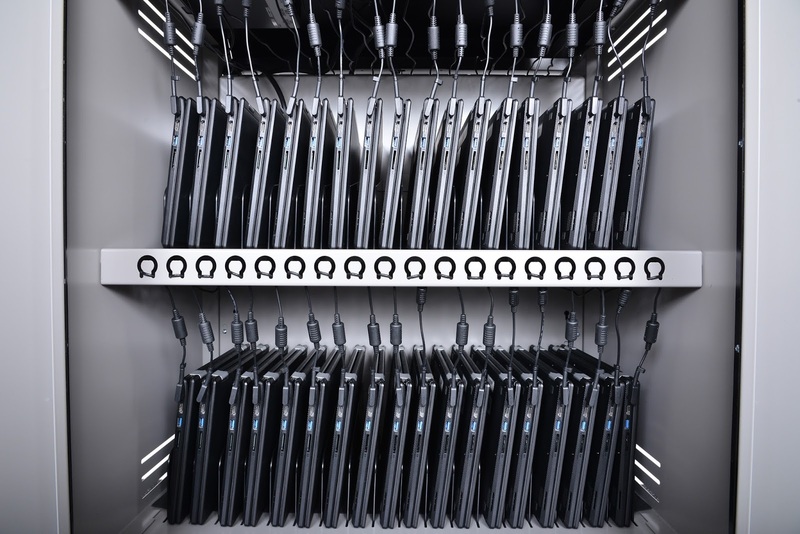 Typically, having each of the slots numbered helps with assigning devices to students and keeping your technology organized. 3. Safety and Security: Is the cart equipped with secure locks and an exterior design that ensures safe operation around even the youngest students? Are standard tests performed to make sure it meets certain certifications? There is a lot to consider when it comes to safety. You want your technology to be protected and not tampered with. Having the ability to lock the cart is paramount. You want to know that your technology is safe, no matter where the cart is in the school. As for safety, the number one item you should look for is if it is UL listed. The typical listing for a cart is UL 60950-1. This certification looks at such things as electrical power; where all conductive material must be grounded, and industrial design, where it performs a number of tests including a tip test. It will also look at how the cart handles going up an incline and how much weight it can hold. Look for the safety security mark on the product itself (include UL/ETL logo). Keep in mind that it’s important for the entire cart to be UL listed, not just components of the cart. 4. 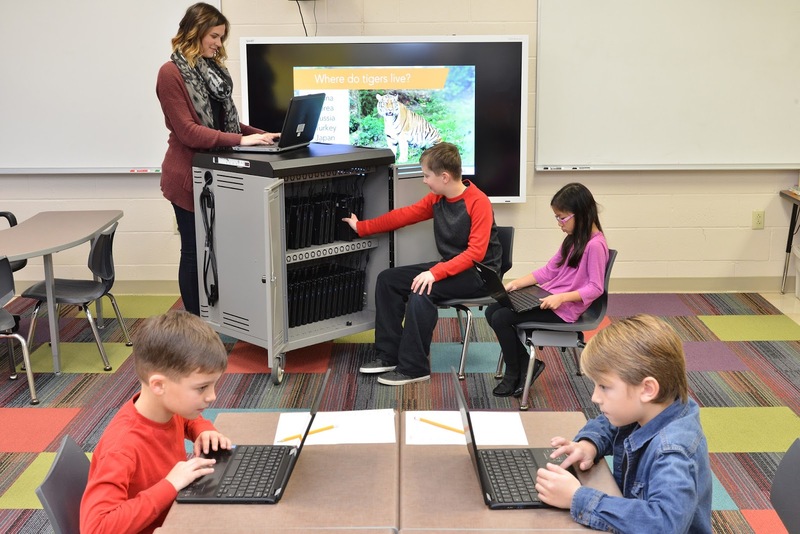 Durability: Is the cart made with top-quality materials to ensure it is rugged enough to stand up to years of daily classroom use? material? Also look at the dividers inside the cart and what they are made of. Will they break if a device leans up against it? Or does it have small pieces that may fall out if a student plays with it? Also look at the braking system on the wheels.Will the brakes withstand them being locked and unlocked multiple times each day for years? 5. Mobility: Does the cart's size and exterior design, including its wheels, allow for it to be easily navigated through narrow and crowded school hallways and doorways? Most mobile computing carts are on the go! Going from classroom to classroom with many students taking technology in and out of the cart, all day long. The first item to look at are the wheels. How easy is it to move that cart around, in and out of doorways, over thresholds, and into tight corners? Consider and learn if the wheels are noisy. Does the cart have any pieces that come out from the cart, like the handle or the base of the cart for the wheels? Some wheels hang out from the bottom creating a tripping hazard. As for the handles, look to make sure it doesn’t protrude from the cart for kids to run into. Also think about how your hands will be protected when going through narrow hallways or doorways. Finally, look at the weight of the cart. Some carts are very heavy and that is without the devices wired in. Look for a light-weight cart, yet durable, for easy mobility. 6. Charging Ability: Can the cart meet your specific needs for charging mobile devices? Does it allow for easy external monitoring of the device-charging process? First you need to look at the total number of watts your equipment will draw. Then look at the cart to see if it can charge all the devices at once or if you need a timer where it splits the devices into banks and only charges certain banks at a time. 7. Affordability and Dependability: This biggest question you need to know is if the carts you are looking at fit into your budget, and does it fit into the specifications you need from the cart. cart isn’t necessarily hard, but it needs to be thoroughly thought out so it meets the expectations from both the IT standpoint and what the instructor is looking for. 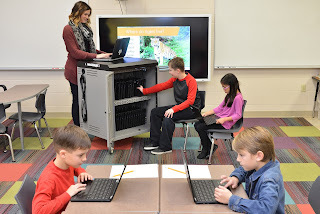 If you do your research and determine what your needs are, you’ll be happy with the final mobile computing cart you decide on.